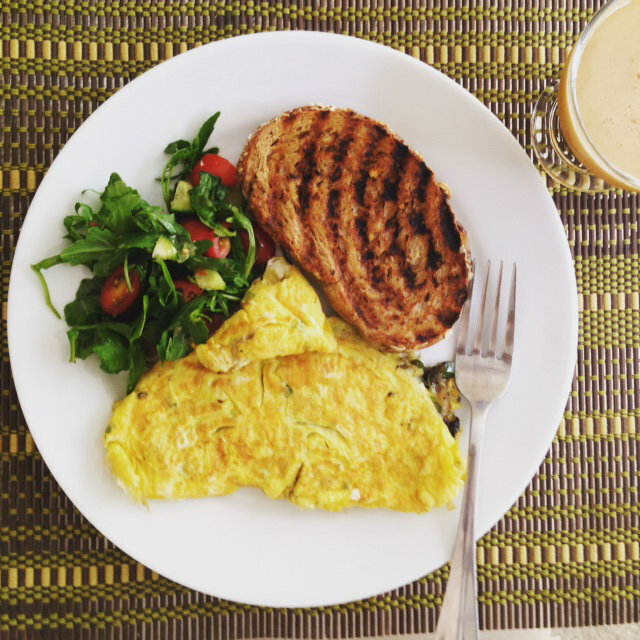 I used to be one of those people who was intimidated by omelettes but have since realized that when it comes to food you really should just go with the flow as opposed to following some rule in a book. There is no such thing as the perfect recipe. 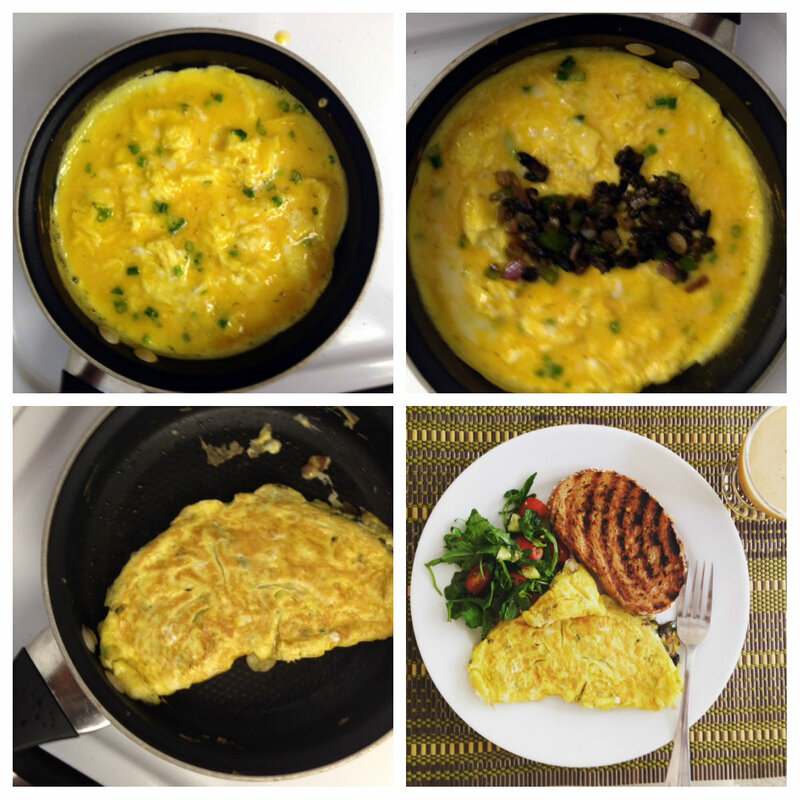 If it is made the way you like and tastes good then it is the perfect omelette for you. Wikipedia defines an omelette as a dish made from beaten eggs quickly cooked with butter or oil in a frying pan. It is quite common for the omelette to be folded around a filling such as cheese, chives, vegetables, meat , or some combination. – saute’ mushrooms and onion in a small pan until mushrooms until cooked. Add a little salt, pepper and set aside. – reduce heat to medium before cooking egg. – Wipe any mushroom residue from the pan and add enough olive oil to coat the pan. – Add green onion, salt and a tsp water to beaten egg then pour mixture into pan. – Keep a close eye on the egg and constantly create openings in the pan to let uncooked parts get cooked. – Once egg is 80% cooked add your filling and flip half the egg over the other half. – cook both sides for a minute or until egg is cooked. Be sure not to overcook as you want the egg to stay soft. – Remove from pan and serve immediately.